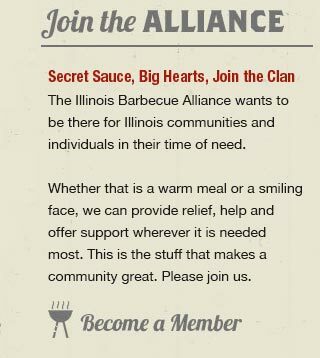 Illinois BBQ Alliance prides itself on the company that we keep. For the members of our alliance, this is about a fellowship with a passion for what we do. Helping support a community and giving back to something that has given so much to each of us. It’s no secret that I live in Florida these days but I was born in Chicago and spent 43 years there and in the suburbs so I will always think of myself as a Chicago guy. My BBQ career started on a lark at the first Royko Ribfest in Grant Park in 1982 and it has been a dream come true ever since. Because of my strong roots I couldn’t be happier to see all the great BBQ people from Chicago, new ones, old ones, and transplants all coming together for a little fun, a lot of camaraderie, and to do a little good along the way. I am a proud founding member and will always support the IBBQA. The Illinois BBQ Association is part of the Operation BBQ Relief family! Their support for us has been amazing and we support their efforts to grow Illinois BBQ and promote BBQ around Illinois! Their partnership in helping respond to disasters when they strike around Illinois and else where is an testament to the Illinois BBQ family! 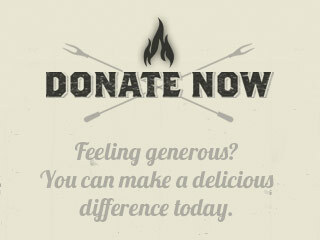 Operation BBQ Relief is proud to partner with such a great organization that supports and promotes BBQ the way they do! I am also proud to be a member of the IBBQA! IBBQA means and awful lot to me. First the commitment Barry Sorkin made when he offered to be a co founder with me. Next, all the people I have met with and hung out with helping get IBBQA of the ground, including all of the barbecue professionals that I call my friends. The way this professional community all stepped up, every single one to help support and encourage our passion and love for barbecue. Finally IBBQA is the vehicle I see to help bring many people into barbecue; women, younger people, backyard enthusiasts, chefs, restaurateurs, competition cooks, industry peers and all who may be interested in helping to perpetuate barbecue going forward. Dave Raymond aka "Sweet Baby Ray"